Egypt Charges Former President Mohammed Morsi, Others : The Two-Way A prosecutor has issued formal charges against the ousted leader and 13 other members of the Muslim Brotherhood. Mohammed Morsi in January of this year. He's been in custody since his ouster in July. Egypt's top prosecutor has referred ousted President Mohammed Morsi to trial on charges of inciting deadly violence against his opponents. State television said Sunday that Morsi, senior Muslim Brotherhood leader Essam el-Erian, former presidential aides and advisors Assad Sheikha and Ahmed Abdel-Ati were among those charged in connection with clashes Dec. 5, 2012 at the presidential palace. In all, 14 individuals have been referred to a Cairo criminal court, according to Sky News. Morsi, who was ousted in a July coup and has been in custody without charge until now, is accused of inciting allies to commit premeditated murder, use of force, use of firearms and knives and illegal attacks on demonstrations, the prosecutor says. 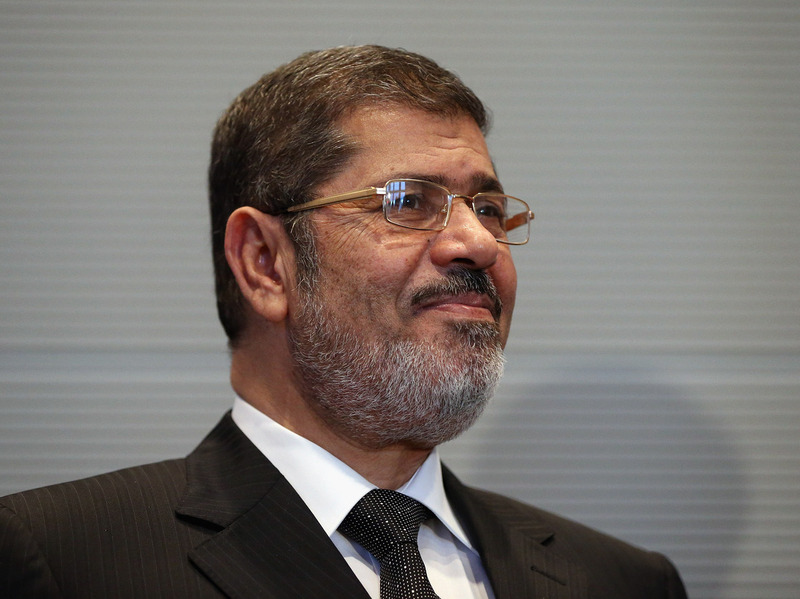 Morsi is alleged to have asked his then-Minister of Interior and chief of the Republican Guard to violently disperse sit-ins. Since Morsi was forced from power, Gen. Abdel Fatah al-Sissi's military-backed government has conducted a widespread crackdown on Morsi supporters and his Muslim Brotherhood.